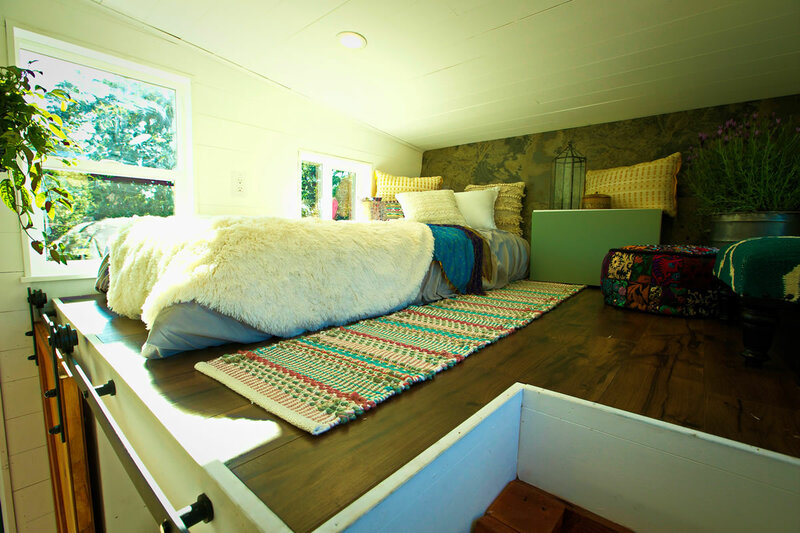 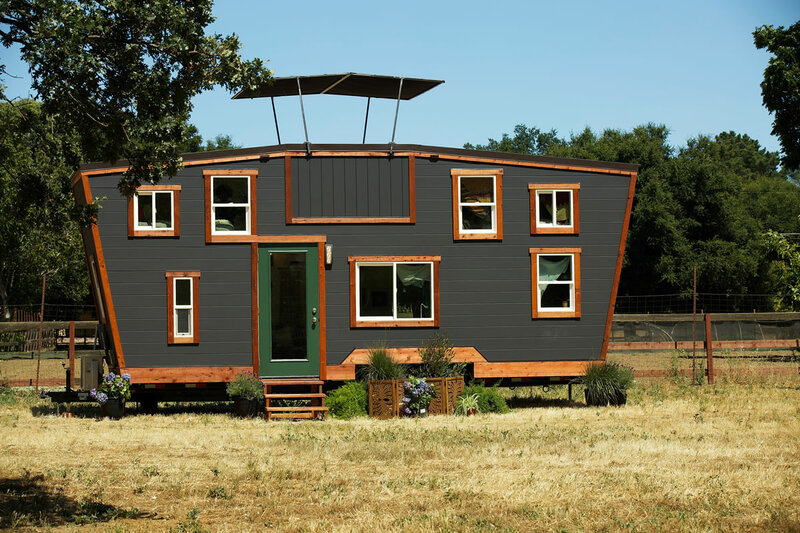 This 200 square foot tiny home is very spacious with slanted interior walls and sunken roof deck. 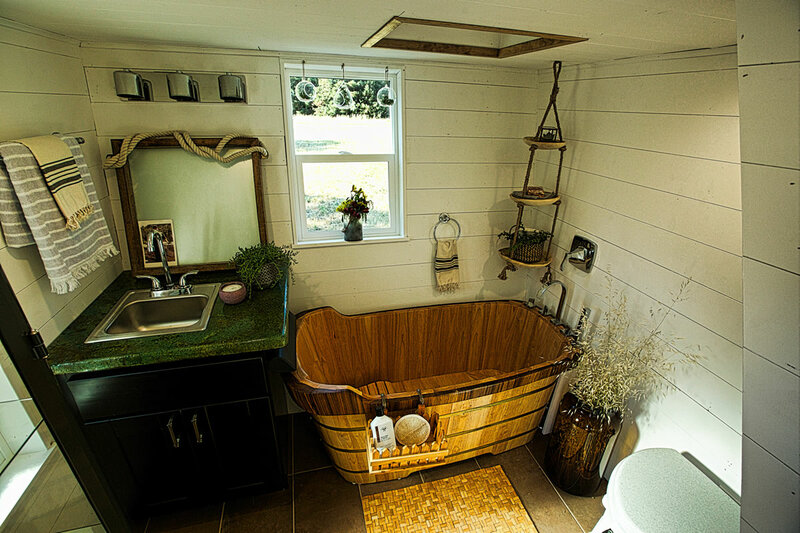 However, don’t let the outside fool you, the interior is just as intriguing with its full size bathroom, stairs, and two upper lofts to enjoy the stars at night. 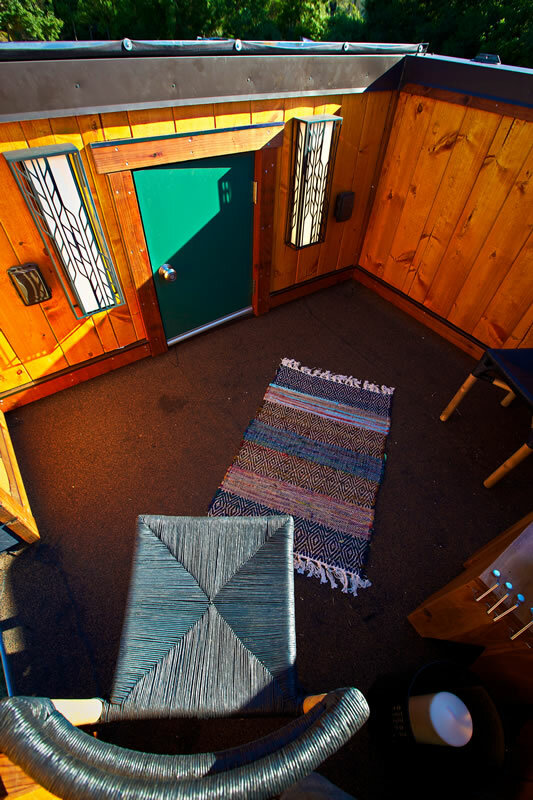 The enclosed roof deck is elevated to give you that observation feel, taking in the unobstructed view of the skies above. 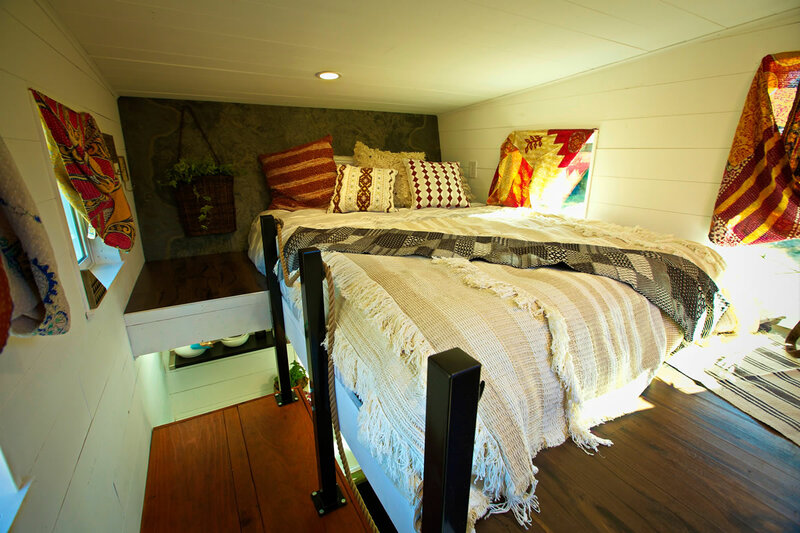 This deck is easily accessible by the iron ladder attached to the back of the home and easily opened to enjoy the starry skies. 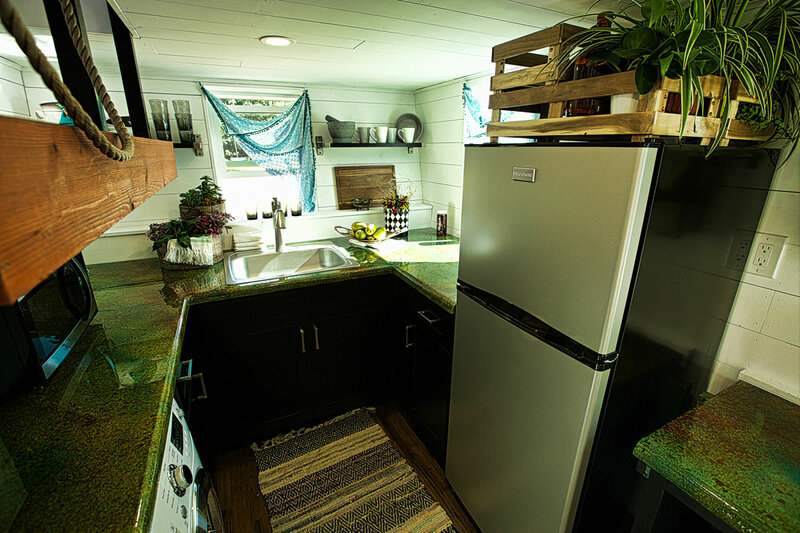 This tiny home offers all of the needed amenities of living comfortably, including a combination washer and dryer, full size refrigerator, and a 60″ tub for relaxation after a long day. 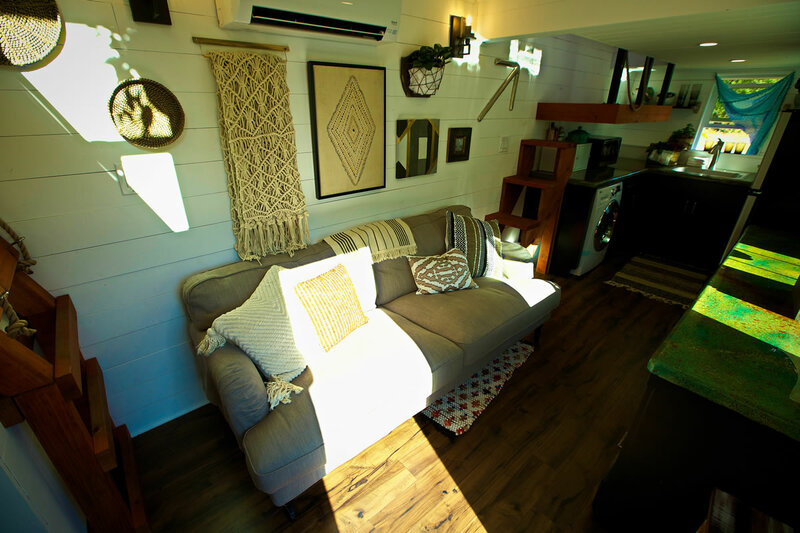 With all the natural light coming in to this tiny home, it’s no wonder that people are falling in love with this design. 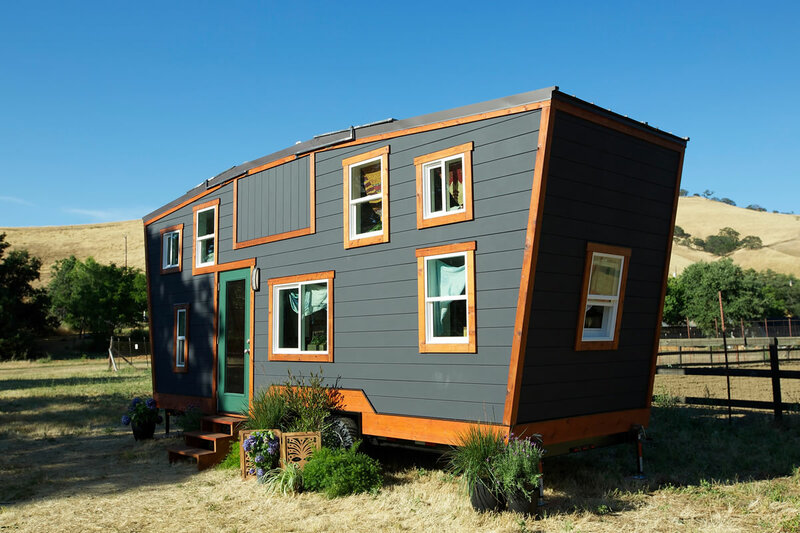 Its crazy shape and design is giving the Schooner its own unique view in the tiny home world.